You’ve probably heard people talk about Tudor times and Tudor houses, and maybe even Tudor roses. But what exactly is a Tudor, anyway? Well, Tudor is a surname, just like Jones or Smith or Adams. But in the case of the Tudors, it’s the surname of a mighty (and murderous) royal family! First in line was Henry the Seventh, daddy of the rather more famous Henry the Eighth. The last was Elizabeth the First, who led England into a golden age. And though the Tudors were only in charge for roughly 120 years, they kept themselves awfully busy. 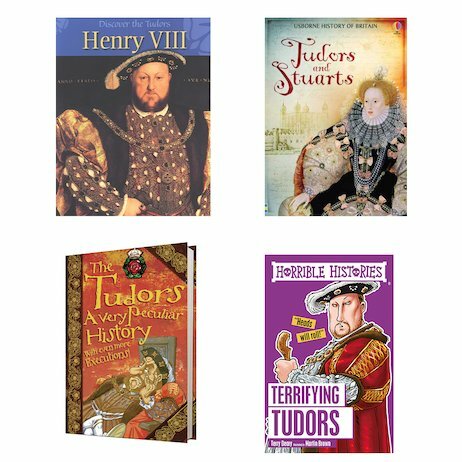 Exploration, fashion, food, theatre, music, the law: the trend-setting Tudors changed all of them!